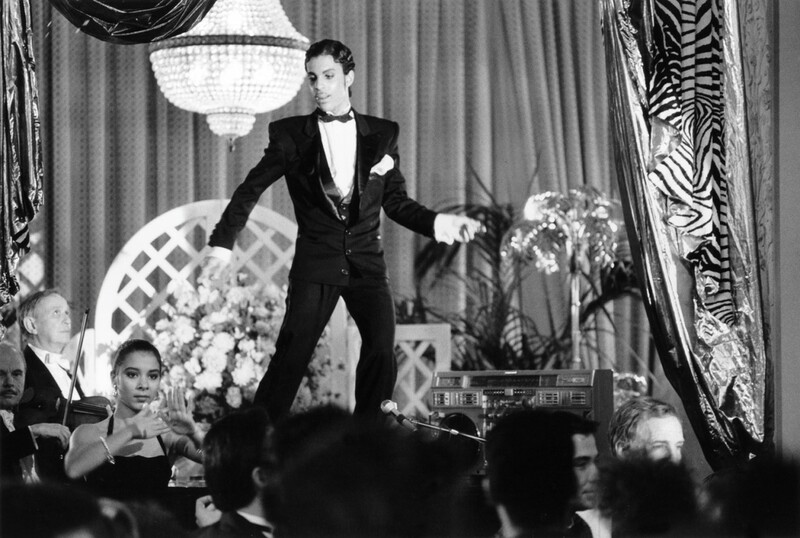 As long as UNDER THE CHERRY MOON stays with being a playful, goofy romantic musical set in the south of France and doesn’t take itself seriously at all, it’s actually a fun movie to watch. Sure, the acting of Prince and Kristin Scott Thomas is atrocious (she has disavowed this movie totally) and the whole thing is obviously a vanity project for Prince as I don’t recall offhand any movie where the leading man is prettier and has more costume changes than any of the women in the same movie. 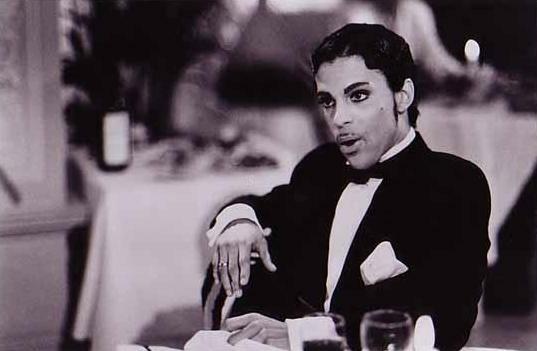 Prince took over directing the movie from Mary Lambert, who had distinguished herself directing music videos for Madonna, Janet Jackson, Annie Lennox, Whitney Houston, Tom Tom Club and many other artists. This was his first and as far as I know his only directing effort. Let’s just say that as a director and actor, Prince is a brilliant musician. He so obviously was attempting to do a Fellini flavored French comedy and I give him points for his ambition. And there are scenes in UNDER THE CHERRY MOON where you can see that there’s a really good movie trying to fight it’s way past Prince’s ego and be seen. Unfortunately somewhere along the way Prince decided that what he really was doing was A Tragic Love Poem About Doomed Lovers and that’s where the movie nose dives into oblivion. 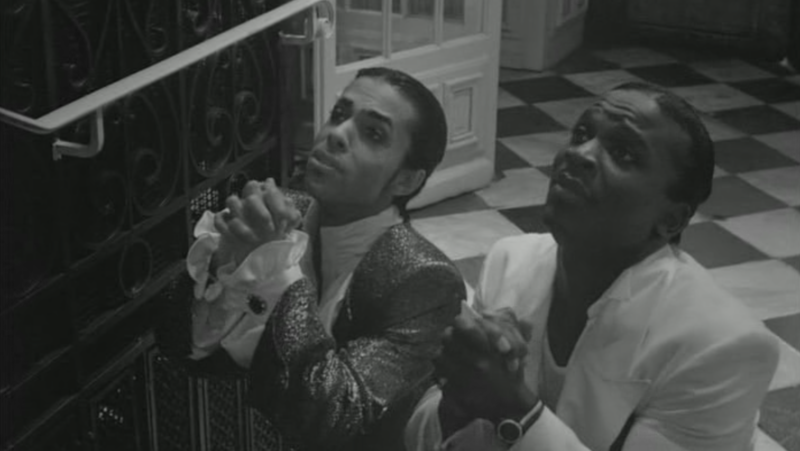 Christopher Tracy (Prince) and his sidekick/wingman/cousin Tricky (Jerome Benton) are professional gigolos swindling money out of wealthy French women. Just from their wardrobe I’d say they’re obviously highly successful at it. By day Christopher Tracy plays piano at a posh restaurant while Tricky lines up his victims for the night, including Mrs. Wellington (Francesca Annis) who seems to have honest feelings for Christopher. Tricky sees a big payday in Mary Sharon, heiress to a shipping empire owned by her father Isaac (Steven Berkoff) who is also sleeping with Mrs. Wellington. Mary will inherit $50 million on her 21st birthday and so Christopher sets out to seduce and marry her. Naturally this does not set too well with Isaac or even Tricky who discovers that he has feelings for Mary himself. The situation is further complicated by Christopher forgetting what he’s supposed to be doing and hopelessly falls in love with Mary. There are scenes early on in UNDER THE CHERRY MOON that truly make me smile, such as Mary’s 21st birthday party where she shows off her birthday suit. The “Wrecka Stow” scene which actually is an inspired comedy bit. The scene where Christopher sings and dances on top of a piano and has an entire restaurant jamming to “Girls & Boys” and reminds us of why when this movie was made there wasn’t a musical artist working (no, not even Michael Jackson) who could touch Prince. And the absolute best thing about this movie? Jerome Benton, of course, who along with Morris Day in “Purple Rain” provides the two best reasons to watch that classic movie. I’d bet next month’s rent that Prince cast Jerome as his sidekick in this movie hoping that together they’d have the same magic. They don’t. But that doesn’t mean that Jerome isn’t his usual hilarious self and he makes every scene he’s in better. It also tickles the hell out of me that he and Kristin Scott Thomas have far better chemistry than she does with Prince. I also like how the movie exists in its own fantasy/fairy tale universe where people dress like it’s the 1920’s, talk like it’s the 1940’s, with the exception of Christopher and Tricky who speak in 1980’s vernacular and drive cars from the 1950’s/’60’s. 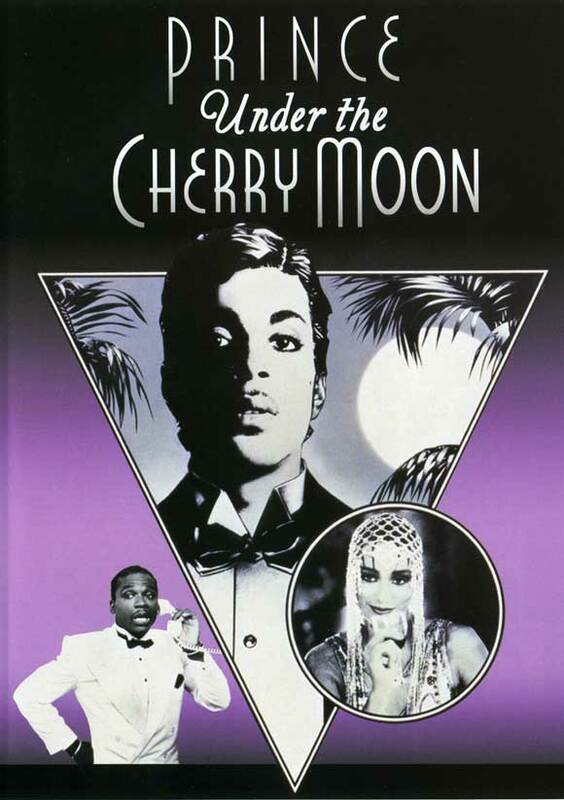 What else can I recommend about UNDER THE CHERRY MOON? The terrific Prince soundtrack, of course. Except for “Girls & Boys” and “Mountains” which he performs with The Revolution during the movie’s end credits, Prince does not perform any musical numbers and the songs are used as background music. “Christopher Tracy’s Parade” and “Do U Lie” are delightfully playful and light, excellent fitting the tone of the early parts of the movie and Prince is helped tremendously having Wendy Melvoin and Lisa Coleman singing backup. “Under The Cherry Moon” is appropriately dreamy and romantic. “Girls & Boys” and “Mountains” are both jazzy, funky numbers that are just plain flat out fun. And do I need to say anything about “Kiss” you don’t already know? But an hour into the movie that all changes and as I said earlier, the movie turns into A Tragic Love Poem About Doomed Lovers that has an ending that comes outta nowhere and just would really spoil the whole thing if we didn’t have an epilogue with the dependable Jerome Benton to leave us with a smile on our face. So should you see UNDER THE CHERRY MOON? Absolutely. Is it a good movie? Hell, no. In terms of acting it’s downright laughable. And the sudden shift in tone is jarring and confusing. It shouldn’t even be mentioned in the same breath with the masterpiece that is “Purple Rain” and it’s an insult to compare it with “Graffiti Bridge,” a movie that is truly horrendous and deserves to be forgotten. But not UNDER THE CHERRY MOON. It is an awfully goofy movie that you can watch with fellow Prince fans on a Friday or Saturday night and have a good time with its unashamed silliness. And here’s a drinking game to go along with it: everybody takes a shot every time the name ‘Tricky’ is said as it seems as if every other character in the movie is afraid that we’ll forget his name, they use it so much and so often. Yeah, it’s that kind of movie. Enjoy.